The Scottish School (Skota Skolo) of Esperanto writers was consciously set up by the four Scottish writers William Auld (1924-2006), John Dinwoodie (1904-80), John Francis (born 1924) and Reto Rossetti (1909-94). It exerted significant influence on the evolution of Esperanto literature across the world - notably on the work of Baldur Ragnarsson (b. 1930), Iceland; South African Edwin de Kock (b. 1930); Englishman Victor Sadler (b. 1937), Brazilian writers, and later, Dutch-Scotsman Albert Goodheir (1912-95), who has been called the fifth member of the foursome! Apart from their original communal volume of poetry Kvaropo ( Foursome ), published in 1952, the most important work of the quartet as individuals is the remarkable epic poem La Infana Raso ( The Child Race ) (1956) by William Auld. It is still generally considered the greatest work of Esperanto literature and led to Auld being nominated for the Nobel Prize for Literature on several occasions. Writers of the Scottish School made their debut in Malgranda Revuo ( Little Review ), which appeared in Sweden during the latter years of the Second World War, edited by Stellan Engholm. They were also significant contributors to the cultural periodical Literatura Mondo ( Literary World ), which was published in Budapest until 1949, when it was extinguished by persecution of Esperanto by the Stalinist-Zdanovist cultural policy in Soviet occupied Europe. Another important literary meeting-point was the regular appearance (from 1947) of the modest, but in content and historical value significant, periodical Esperanto en Skotlando ( Esperanto in Scotland ), which formed a palestra and forum for the then young writers. William Auld edited it from 1949 to 1955. The demise of Literatura Mondo heralded the end of the period of so-called Parnassianism in Esperanto poetry. Romanticism had reached the end of the road, and Modernism began influencing poetry in the language. It was the appearance of the volume Kvaropo in 1952 that initiated the process. The expression skota skolo for a Scottish school of Esperanto writers was probably first used in the poem Manifesta Balado ( Manifesto Ballad ) - the opening poem in Kvaropo . The Scottish School became a published entity with the appearance of the volume of poetry Kvaropo ( Foursome ) in 1952. Although the four poets all sing the praises of poet, writer and editor Kálmán Kalocsay (1891-1976), their great Hungarian forerunner and contemporary, Auld foresees the collection as a sign of a new generation. Nevertheless, the explicit aim of the foursome was to continue the literary work of their predecessors, of whom the Hungarian Kalocsay was the most notable. Judging from the content of Kvaropo , the four Scottsmen, in fact, had little in common. They shared an education in English-language poetry and to some extent used the attainments of this poetry in their work, while conserving the values of the Esperanto literary tradition. In his treatise Kvaropo kaj la Skota Skolo ( Kvaropo and the Scottish School ) (2nd ed. 1977), Hungarian literary critic Vilmos Benczik comments on the four poets differing personalities: Auld is animatedly impatient, he is aesthetically tuned. ... For Auld, poetry serves above all as an instrument for communicating his thoughts effectively to the people, in the first instance on society. There is an important sympathy with the political left . Francis is an anatomically rigorous, intellectual being ... (as Auld) with the difference that his interest is more abstract, more philosophical than that of Auld. ... one supposes disillusionment with all politics . Dinwoodie inclines mainly to meditation, melancholy , cultivates purely personal lyricism, with ethical saturation , is mildly but unmistakably conservative . Rossetti is bohemian, somewhat light ... clearly inclined to hedonism and palely sympathises with ideas of the left. In reality, John Dinwoodie seldom had the chance to take part in the groups activities, but all four Scottish writers were also part of a larger group of literati who were then working on the Angla Antologio (English Anthology) - two volumes of translated English-language works from AD 1000-1960: vol. 1 (1000-1800) (ed. W. Auld and R. Rossetti, 1957); vol. 2 (1800-1960) (ed. 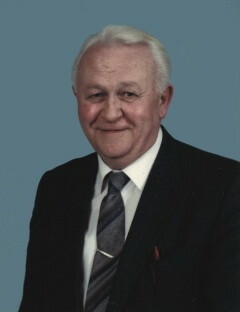 A. Goodheir, 1987). Dinwoodie was later forced to give up his literary interests for the sake of his pastoral duties - a difficult personal decision that was a true sacrifice. Francis went on to produce blockbuster novels, and the older Rossetti to guide by his erudition, wit and humour. Rossetti also edited two important anthologies of original Esperanto short stories. Auld continued his work in almost every literary field until the turn of the century, and remains one of the most published and respected Esperanto writers. Francis, John: La Skota Skolo (The Scottish School) in La Brita Esperantisto, No. 959, Autumn 2005; pp. 10-13. ISSN 0007-067X. Sutton, Geoffrey: Concise Encyclopedia of the Original Literature of Esperanto 1887-2007. New York, NY: Mondial, 2007. x + 728 p. ISBN 0978-1-59569-090-6. [This page retrieved from the Wayback Machine at archive.org. It is no longer available on the live Internet.